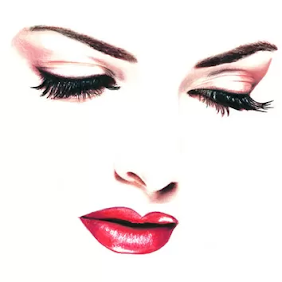 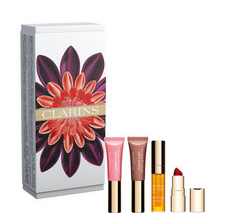 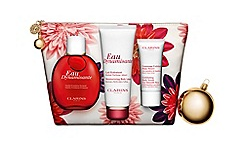 Christmas with Clarins, gifts of skincare and makeup just for her. 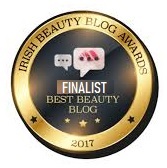 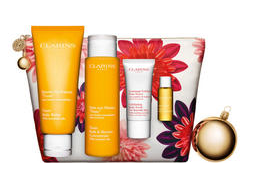 Without fail each year there is always a gift to be found for both women and men with Clarins and this year is no expectation. 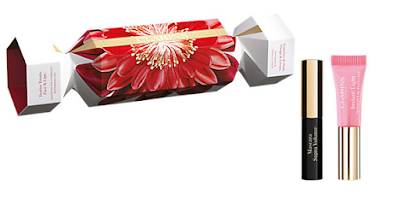 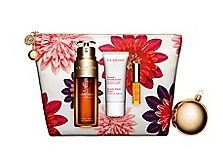 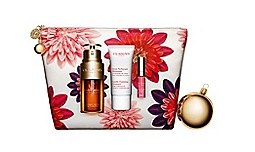 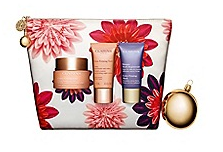 Enrich your beauty regime with premium skincare and makeup with great value gift sets, beautiful present in gifts boxes with their skincare gifts we find a stunning flower wash bag to keep house your Clarins products while you travel this holiday season. 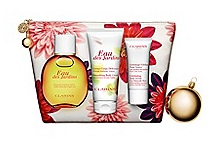 Find your own secret garden and embrace nature when you discover the Clarins 'Eau Des Jardins' collection. 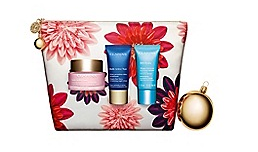 This collection combines the benefits of aromatherapy and phytotherapy by harnessing the natural aromas and active ingredients of plants to ensure that you ''feel great and smell great''. 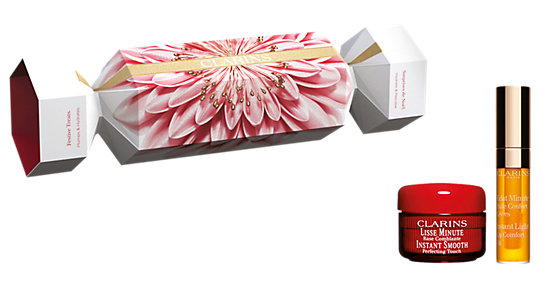 The ultimate skin solution collection to keep your skin radiant by purifying and hydrating. 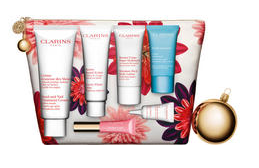 Clarins Gifts Sets for Christmas 2018 are available now online here, Brown Thomas and from leading Clarins Counters.